UPDATE 08/02/15 2:30 pm: According to ABC7 Chicago, Travi$ Scott was arrested following his brief Lollapalooza set. The rapper was charged with disorderly conduct, but if his latest Instagram post is any indication it seems that he's been released from custody since. 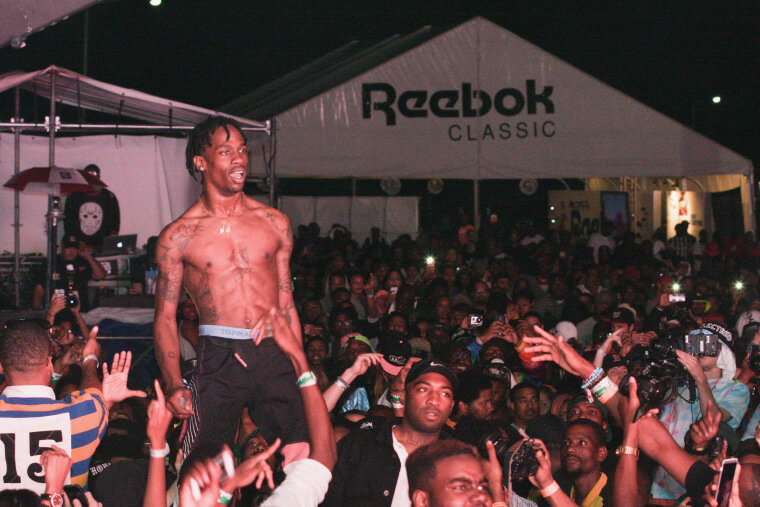 FADER cover star Travi$ Scott's Saturday set at Lollapalooza was cut short when the rapper barked at the audience to jump the barricades and join him onstage. Even though this is something M.I.A. has been doing from time (and has worked out beautifully every time I've seen her), the Lolla folks couldn't handle it and shut down Scott's set just after it started. Various Tweets and Snapchats confirm the rush to the front, though there are rumours that Scott may have been arrested. We'll post more updates as they come.